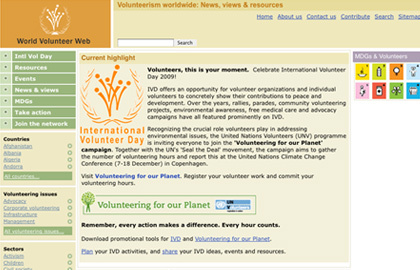 World Volunteer Web (WVW) is a partnership that supports the international volunteer community. HSS worked with WVW to produce a new website design that ultimately resulted in the site winning a Web4Dev award, sponsored by the World Bank for excellence in design and development. 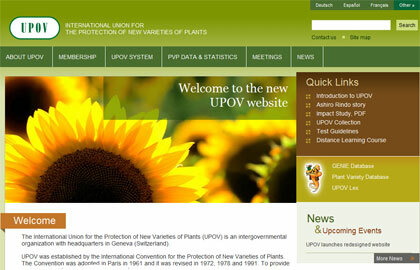 The International Union for the Protection of New Varieties of Plants (UPOV) selected HSS for a complete redesign of the organization's user-interface for an improved web presence that was more engaging, user-friendly and accessible for target audiences, while dramatically improving the organization's brand identity and public image. The United Nations Volunteers (UNV) programme is the UN organization that contributes to peace and development through volunteerism worldwide. 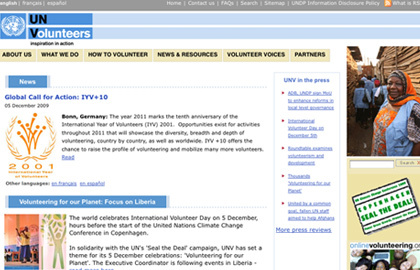 HSS worked with UNV to develop a flexible set of design templates that could be applied to UNV's many country-specific websites. 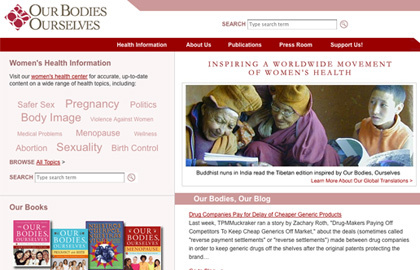 Our Bodies, Ourselves is a landmark women’s health publication that has been translated into multiple languages and distributed internationally. HSS designed a website with a highly customized content management system for publishing companion book content and managing a vast array of health resources. 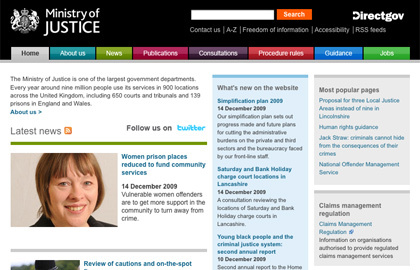 The Ministry of Justice is one of the largest government department in the United Kingdom, serving approximately nine million people in 900 locations across the UK. HSS team members were responsible for the coding the site’s front-end interface (xhtml/css) to meet a demanding architecture while also remaining standards-compliant and accessible. 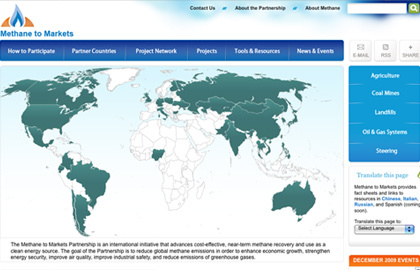 The Global Methane Initiative (formerly Methane to Markets) is an international public-private clean energy initiative comprised of fourteen countries. The Partnership aims to advance cost-effective, near-term methane recovery and use as a clean energy source. HSS team members were responsible for the interface design, coding and implementation oversight. 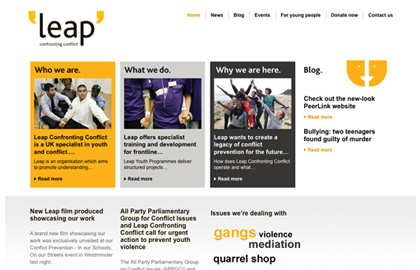 Leap is a UK-based organization which aims to promote understanding of the causes and consequences of youth conflict, and to share skills for effective conflict resolution. HSS team members coded the site’s interface to meet a range functional requirements while integrating the LEAP brand identity. HSS provides website design services for a range of international NGO organizations, from United Nations (UN) groups, to independent nonprofits. Contact us to learn more about what we can do to develop a strategic, mission-based web presence for your organization.